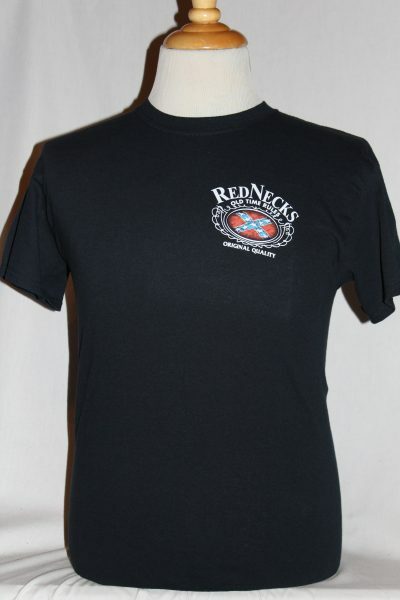 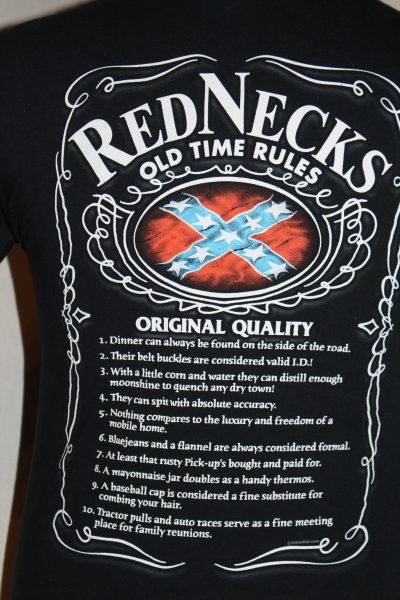 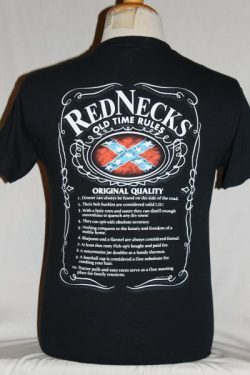 The 10 Red Neck Rules T-shirt is a two sided print in black. 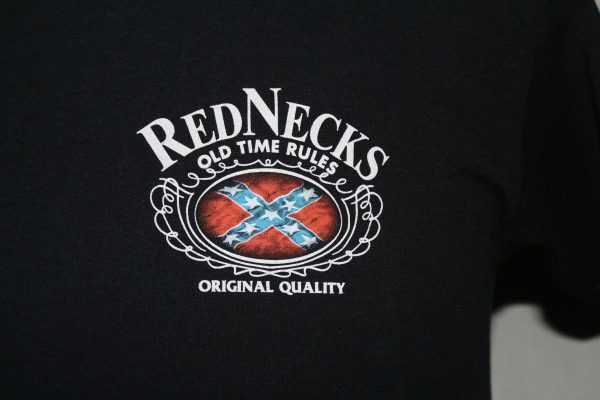 Front Design: Left chest confederate flag with text printed in white. 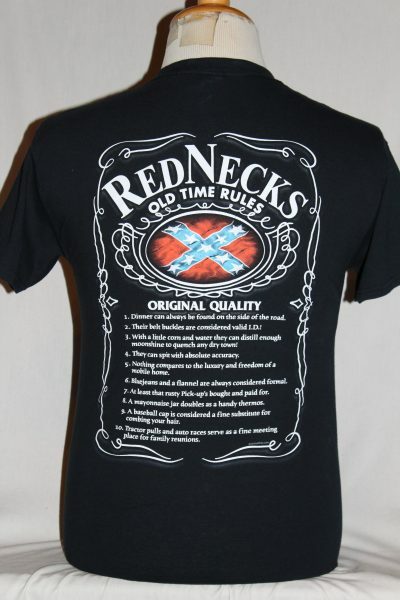 Back Design: A larger image of the front with the 10 rules listed.